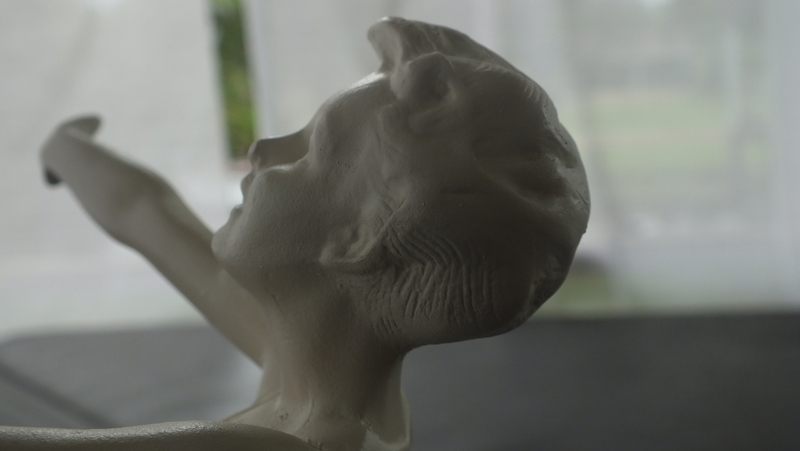 Alchemy’s Kate Wood recently restored a broken metal statuette called The Good Fairy. 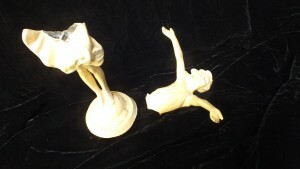 This small sculpture was snapped in half. 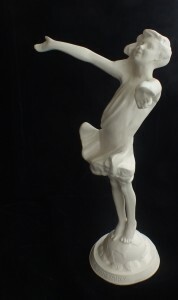 This popular statuette dating from 1916 was manufactured by Jessie McCutcheon Raleigh of Chicago and is just under twelve inches tall. Originally, the piece had a bronze finish, but the piece Kate repaired had been painted white. The designer for this work was Josephine Kern. Once Kate repaired it, the figure’s grace emerged. An unusual trait for this piece is that it is androgynous: one side is male, the other female. 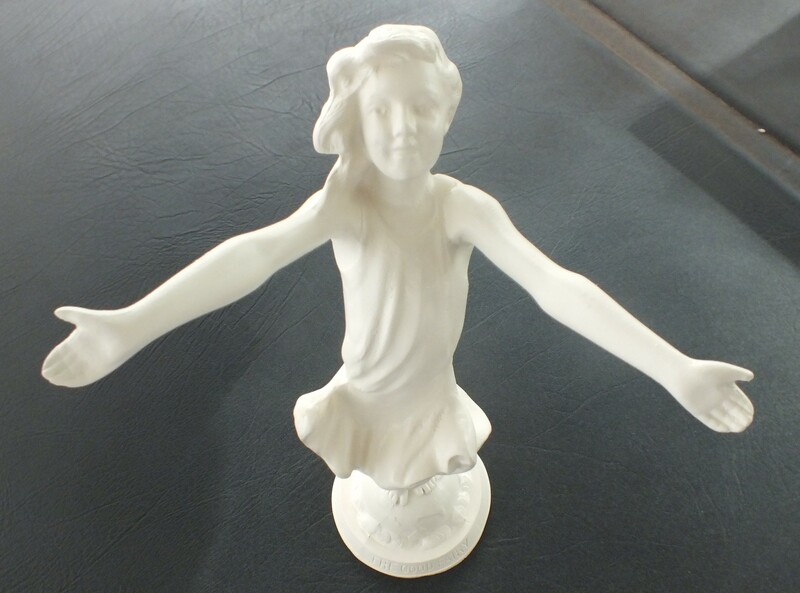 The small statue became so popular during WWI that ‘Good Fairy Clubs’ were formed. Repairing a metal statuette is extremely rewarding when the history is as fascinating The Good Fairy! By the love that your friends bear for you. Your friends are wishing today. You can never be blue if you try.